With several recent acquisitions of the artist’s work, the Athenæum’s collection now contains six paintings by Boston artist Polly Thayer. Five of these are portraits (including a self-portrait and a portrait of Thayer’s husband, Donald Starr) and one is a small landscape. 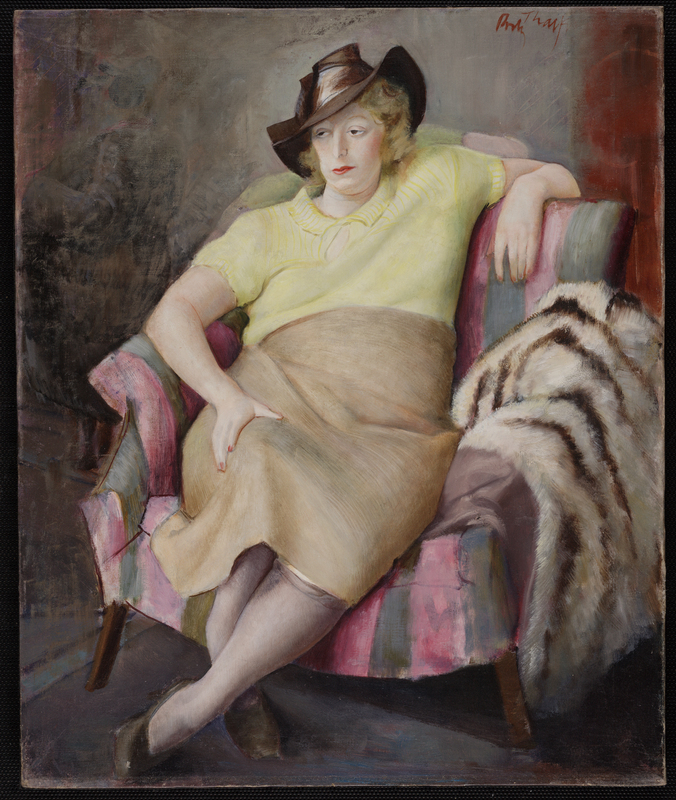 As the first genre painting by Thayer to enter the collection, Shopping for Furs adds unexpected depth to the institution’s holdings of her work. Undoubtedly posed by a carefully selected model, the painting is a brilliant study in the numbing exhaustion brought on by the mundane, ultimately meaningless activity of shopping for luxury goods.